inclination, without any celebration by the general population, in spite of the declaration of the candidate of the APC, Gboyega Oyetola, as victor of the governorship race. When you use Thugs and Police to win election by force. The Punch observed that the kind of wild jubilation that usually follows such electoral victory is lacking in the state. 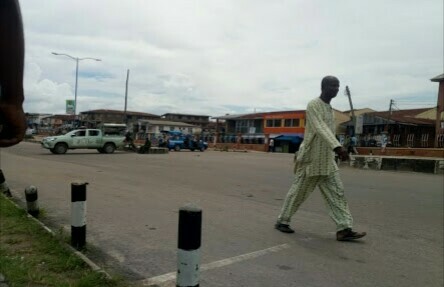 As of 10:45 am, Olaiya Junction, which is usually the meeting point for protest and jubilation in the state capital was clam. Army patrol vans are stationed at Okefia Motor park and other volatile areas in a bid to prevent protest which some people believe may trail the announcement of the poll results. The candidate of the PDP, Senator Ademola Adeleke, led in the first ballot by 353 votes but the APC candidate came from behind to win the poll amidst allegations of intimidation of voters and brazen rigging with the cooperation of security agents. Local and foreign observers and many residents of the state have criticised the APC led Federal Government over the "fraudulent" election.